Warren Berger has it right. In his bestselling new book, A More Beautiful Question: The Power of Inquiry to Spark Breakthrough Ideas, Berger argues that while we’re all hungry for better answers, we must first learn to ask the right questions. Through a number of well-researched stories, Berger demonstrates that the most creative, successful people in the world tend to be expert questioners. They’ve mastered the art of inquiry, raising questions no one else is asking—and finding the answers everyone else is seeking. I had a few questions of my own for this creative thinker. How do you define a “beautiful question”? This is totally subjective, but I define it as a question that challenges assumptions: Why are we doing things the way we’ve done them the past 20 years? What if we tried X or Y? A beautiful question shifts the way we think about something and often sets in motion a process than can result in change. One other thing I’d say about a beautiful question: It should be ambitious. “Why don’t we paint the walls in our office a different color?” doesn’t quite measure up. But it should also be actionable. This isn’t about hypothetical or philosophical questions that get debated and nothing ever happens. Three pages in, you ask, “Who has the time or patience” for figuring out beautiful questions? Who in business does the best job of that? Entrepreneurs—or at least the successful ones—do a great job asking beautiful questions. They almost have no choice—their whole reason for being is to disrupt, innovate, solve a problem no one else is solving. But first they have to define and frame the problem, and that’s usually done through smart questioning. As for others in business, companies tend to evolve the same way as people: They start out asking lots of questions when they’re young and ask fewer and fewer questions as they grow up. So for a company to maintain that questioning mindset as it matures, it must try to keep thinking in an entrepreneurial way. Attorneys are trained to never ask a question they don’t know the answer to. What’s wrong with that approach in business? If you only ask questions you already know the answers to, you don’t learn or grow. And that means you’re not exploring and probably not innovating. And if you think about that statement about attorneys, it’s not entirely true. Good attorneys often ask questions they don’t know the answer to—they just don’t do that in the courtroom because by the time they get to trial, they’re supposed to know. But before that, when they’re taking on a case and working on it, the great questions they ask about the unknown will be key to their preparation: Why did X really happen? What if I could prove Y? How might I find the evidence to do that? How do we learn, or re-learn, how to develop the kinds of questions that lead to breakthrough ideas? If you think about it, kids are great natural questioners, so it kind of starts with getting back to seeing the everyday world around us with a fresh eye and a curious mind. We can train ourselves to do that. Then, it’s about being willing to ask fundamental, naive questions about the things we observe, which takes some guts. Persistence is also required—you must take ownership of your questions and stay with them because we’re not talking about easy questions that can be answered on Google. A beautiful question, the kind that leads to innovation, is a project. You may have to cycle through numerous stages of inquiry, learning and building before you even get close to an answer. 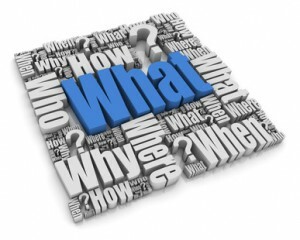 You talk about questioners cycling through the “Why,” “What if” and “How” stages of inquiry. Can you explain? As I studied innovation stories, I found that questioners often started by trying to understand and frame a problem—and that tends to involve a lot of why questions. Why is this a problem? Why hasn’t anyone solved it? Why might it represent an opportunity? At some point, the innovator moves from why to what if questions—imagining possible solutions, often by connecting ideas. What if we tried X? What if we combined Y with Z? That’s the “ideation” stage, in design terminology. But at some point, you have to get from imaginative, what if possibilities to something more practical and concrete; you begin to ask, how are we going to actually do this? And you might break that into smaller practical steps, such as, how can we give form to the idea, how can we test it, etc. What’s your favorite question in the context of business breakthrough ideas? I love the Polaroid story, which is something of a classic. Back in the 1940s, Edwin Land was on vacation with his 3-year-old daughter. He snapped a photograph of her, using a standard camera. But she wanted to see the results right away, not understanding that the film must be sent off for processing. She asked, “Why do we have to wait for the picture?” After hearing his daughter’s why question, Land wondered, what if you could develop film inside the camera? Then he spent a long time figuring out how—in effect, how to bring the darkroom into the camera. That one why question inspired Land to develop the Polaroid instant camera. It’s a classic Why/What if/How story. But it all started with a child’s naive question—a great reminder of the power of fundamental questions. I’m a Zen lover. Can you explain the Zen principle of “shoshin” you talk about in the book? So what does this have to do with the modern world of business? If you’re open to all possibilities and see the world around you with more clarity, you are sometimes able to detect problems, patterns and opportunities that others miss. Steve Jobs was a great practitioner of the beginner’s mind, and I find lots of today’s top innovators, from Square’s Jack Dorsey to Nest’s Tony Fadell, share that ability to see everyday possibilities and opportunities that others miss. What’s the best way to move from asking to acting? The best way is to ask, How can I begin to give form to this question that I’m exploring? How can I share it with others? How can I get feedback? You have to think of ways to get your question out of your head and into the real world. At the design firm IDEO, Diego Rodriguez has said that a prototype is “a question embodied.” And a prototype can take almost any form. Even just telling someone else the question you’re working on, then asking for input—that’s a form of action. What’s the one thing you want readers to take away from this book? That questioning is often the starting point of innovation, and that, therefore, we should value questions as much as we value answers.